Are You Thinking of Going From Employee to Boss? For those who want to be their own boss, here is a warning. Your new job will require several different experts. Don’t try to be all of them. Many very top notch sales people have gone from salesperson to company owner only to find out they would have made more money and been happier staying in sales. If you buy a hardware store because you like hardware and dealing with the customers, don’t settle into the office doing what a well-organized clerical person can do. You will probably meet with the vendors and learn the newest scoop on all the products. If so, you should also be the one to impart that information to your customers. Inventory turnover is simply the number of times in a year that the company sells its inventory. Say for example that your inventory at year-end is $100,000 (at cost). And let’s assume that your cost of goods sold on your annual profit and loss statement is $900,000. This means that your inventory was turned over nine times. Compare the turnovers from year to year and determine what causes any significant differences. Our office for assistance in your analysis. For help with this or other tax or accounting matters please contact us at 201-947-8081 or 646-688-2807, or email us at info@bergencountycpa.com. 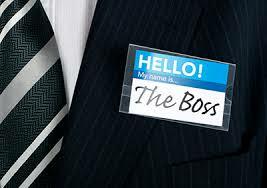 On 10/17/2014 / Tax Tips / Comments Off on Are You Thinking of Going From Employee to Boss?